Instruction for constructing the box will be included in the text. 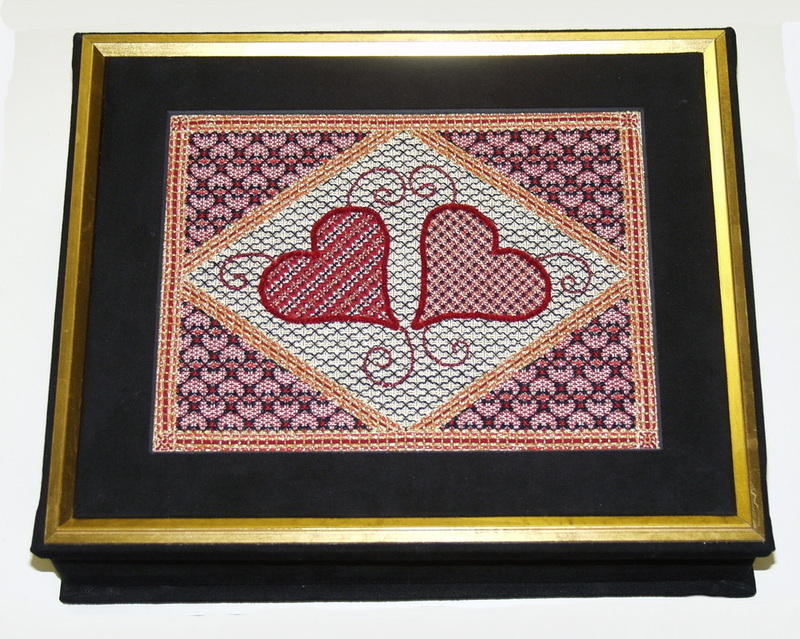 Hearts are always popular and this pair makes a handsome centerpiece in this striking geometric arrangement. The gold outlines of the border and inside diamond are further embellished with couched Sparkle Rays and velour bands. The corner areas are embellished with a unique open framework that forms mirrored heart outlines with additional accents in the remaining areas. 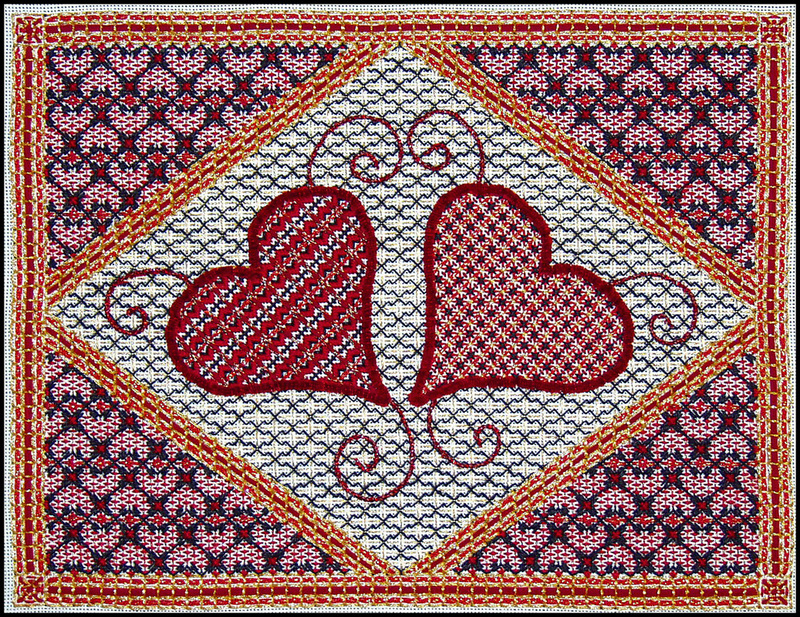 The two hearts also have original composite fillings and the simple blackwork background has gold highlights added in darning rows. The box construction will also be included in the text.